Comment: This will be a pier and beam house that will sit on top of the slab. Roughly 1800sqft base floor and driveway that can fit 4 cars easily. Comment: I need a 24' x 30' x 4" slab poured and finished for a carport/storage combo . Mabank Concrete Contractors are rated 4.50 out of 5 based on 226 reviews of 15 pros. 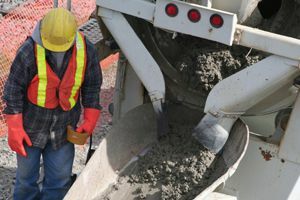 Not Looking for Concrete Contractors in Mabank, TX?